The last supermoon for 2019 will be tomorrow (Wednesday 20th March). The phenomenon will start tomorrow however the moon will be declared full at 03:42am on Thursday 21st March. 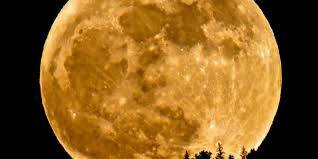 Interesting fact: A full moon is declared when the lunar disk is on the opposite side to Earth as the Sun and is 100% illuminated by the Sun. A supermoon occurs when the moon is as close as it ever gets to Earth. Generally, a supermoon will appear approximately 14% larger and 30% brighter than the average moon. 2020 is when the next supermoon is set to occur.